QuickBooks Premier is an advanced and highly robust accounting solution used by millions of accounting professionals located all around the world. It offers many features such as paying bills, printing checks, creating invoices, and tracking expenses. However, for CPAs who want to enhance the performance and mobility of the software, it is recommended to host it on the cloud. The cloud environment enhances the performance of QuickBooks Premier software considerably. But the professionals are sometimes confused about the working as well as services involved with QuickBooks Premier on the cloud. Here is a list of five questions to consider if you are considering QuickBooks Premier hosting for your business. 1. What is QuickBooks Premier cloud hosting and how it works? QuickBooks Premier cloud hosting refers to the installation of a desktop version of QuickBooks Premier on the cloud server which is hosted in a remote data center and allows access through a web browser or remote access software from any location. In simple words, all the information or files in a hosted QuickBooks Premier can be accessed by authenticated users without installing on their local machine. The licensed copies of QuickBooks Premier are installed in the cloud service provider’s remote server. The software users are then given access to the server with the desired configuration. The cloud provider takes appropriate security measures to ensure that only authorized users get access to your QuickBooks Premier server. To establish a connection between the end-user and the server, an RDP (Remote Desktop Protocol) or a web browser is used, as provided by the cloud provider. All the functionalities, user-interface and features of QuickBooks Premier remain similar to QuickBooks Premier desktop. All the modifications done to cloud-hosted QuickBooks Premier are automatically saved, and authorized users can easily view the changes. 2. 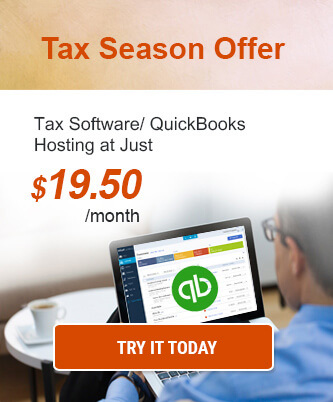 Why should a CPA firm consider QuickBooks Premier hosting? According to an article in Bloomberg Businessweek, about 800,000 laptops are stolen every year in airports alone. 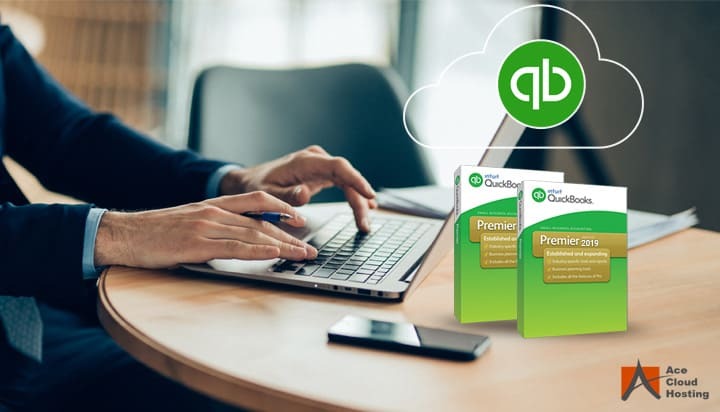 When QuickBooks Premier is hosted on the cloud, your data is much more secure as compared to the local setup as the data is stored on remote servers and can be accessed with valid user ID and password only. Easier collaboration is another benefit of hosting QuickBooks Premier on the cloud. Cloud allows different users to work on the same file irrespective of their location or devices they are using. Cloud hosting of QuickBooks Premier means that CPAs can access the information or files, run reports and look up data at all times, day or night. 3. 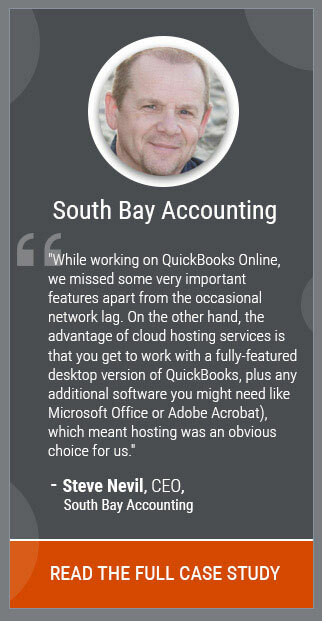 Being a small firm, can I afford to host my QuickBooks Premier on the cloud? QuickBooks Premier hosting is the perfect solution for CPAs who are looking for ways to save money. CPAs would need IT staff for setting up their in-house server, updating software, and managing breakdowns which involves huge However, with cloud-hosted QuickBooks Premier, they don’t need an IT staff, as all the functions are carried by the cloud service provider. Most CPA firms use different storage and back up devices to store data, but with cloud hosting, the cost of these devices is saved as the third-party cloud providers save data at multiple locations. Thus, in case of an emergency, data can easily be recovered. Most CPA firms have budget constraints and owning a server can be a huge financial burden. However, with cloud-hosted QuickBooks Premier, you can save this money as all the equipment needed for hosting the applications is owned by the providers. 4. 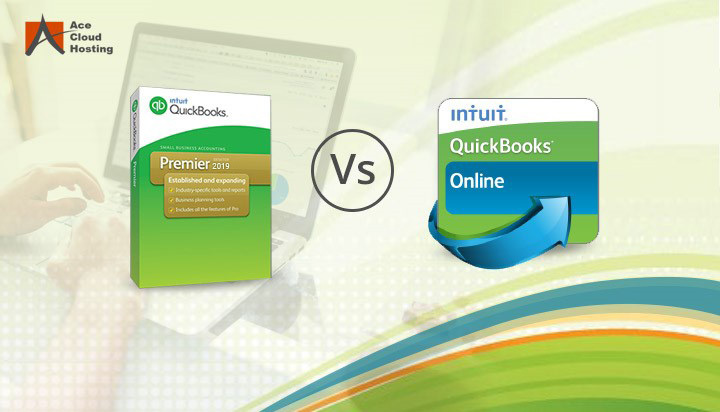 Is QuickBooks Premier hosting better than QuickBooks Premier Online? QuickBooks Premier hosting and online differ mainly in three areas: accessibility, pricing, and features. While QuickBooks Premier Online provides many features, there are some drawbacks such as long support waiting time, increased pricing and navigational issues, making it difficult of CPAs to adopt it for their daily businesses processes. QuickBooks Premier hosting, on the other hand, offers more apt solutions for CPAs who want to work efficiently and faster. Since hosting of the software doesn’t need major changes in the existing desktop version, it is easier for CPAs to adopt. 5. How to select the best QuickBooks Premier hosting provider? Go through the safety and security measures adopted by the cloud provider as the safety of your data is important. You can’t expect perfection: downtime is certain. All cloud providers experience downtime at some time. What is important is to see how the provider deals in such a situation. The first thing to check is the pricing offered and whether there is any hidden fee involved. You should go for a hosting provider which provides a transparent and economical solution without compromising on the quality. Cloud providers that comply with recognized standards show their adherence to industry best standards and practices. It is highly recommended to select an Intuit Authorized QuickBooks Premier hosting provider. Before selecting a cloud provider, make sure that you check the reviews of cloud provider online, as they are the most trustworthy sources of information about the quality of service offered by the cloud provider. Round-the-clock customer support availability is one of the best advantages of QuickBooks Premier hosting. It allows you to offload all the issues related to IT as the cloud provider would have a highly skilled technical staff available for you. So, know about the customer support provided by the provider. Once you have shortlisted a cloud provider, avail their free trial period which would help you test their services. If you’re satisfied, then you can buy an appropriate cloud hosting package. If you would like more information related to QuickBooks Premier hosting, call our solutions consultant at 855-223-4887.